Just because the holidays are over doesn't mean you're done giving gifts. 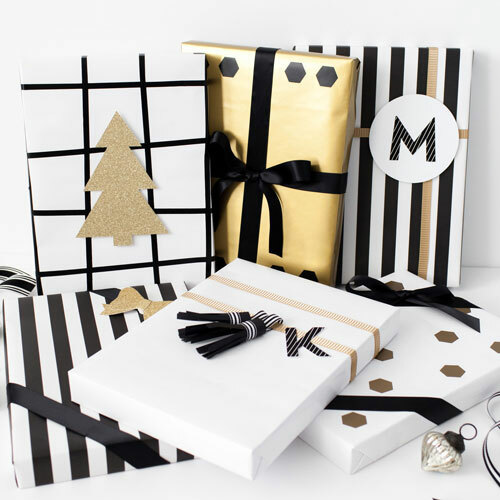 Whether your celebrating a person, an event, or just because... personalized gift wrap is the finishing touch to show someone you care. 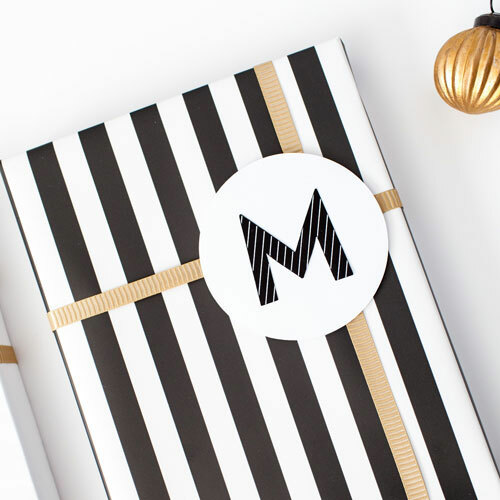 There's so much winter inspiration and one of our favorite designers at The TomKat Studio, Kim Stoegbauer, is showing us a modern take on gift wrap using Cricut. Check out how to make some amazing (and easy) DIY paper designs with The TomKat Studio's instructions below! Prep: Open project in Cricut Design Space. Select letter(s) you would like to make tags for. Delete additional letters. Print then Cut: Follow the instructions in Design Space to print then cut letters. Follow instructions in Design Space to cut tassels. 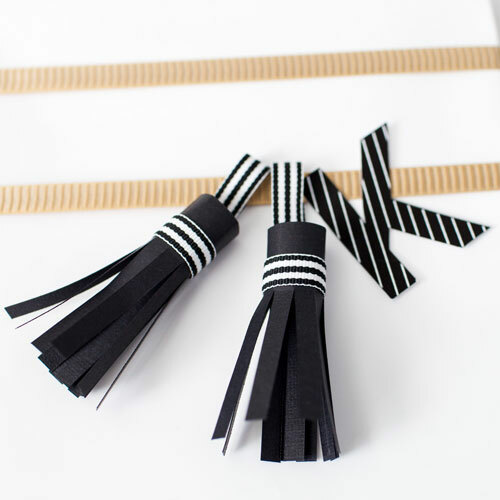 Assemble: Roll cut tassels and secure closed with hot glue. Then wrap ribbon around the tassel and secure with hot glue. Create a small ribbon loop and hot glue to the inside of the tassel. Prep: Open project in Cricut Design Space. Choose letters you would like to print/cut. Delete additional letters. Print then Cut: Follow instructions in Design Space to print and cut letter(s). Then follow instructions to cut circles. Assemble: Use tape roller to attach the cutout letter to the white cardstock circle. To add dimension, use foam dots to attach the circle to the gift. Cut: Follow instructions in Design Space to cut bows. 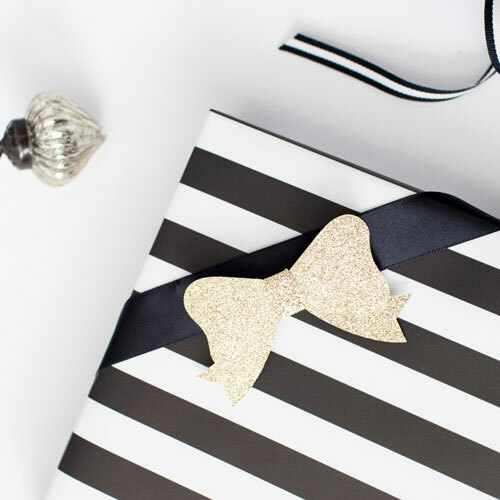 Assemble: Assemble bows and attach using hot glue. 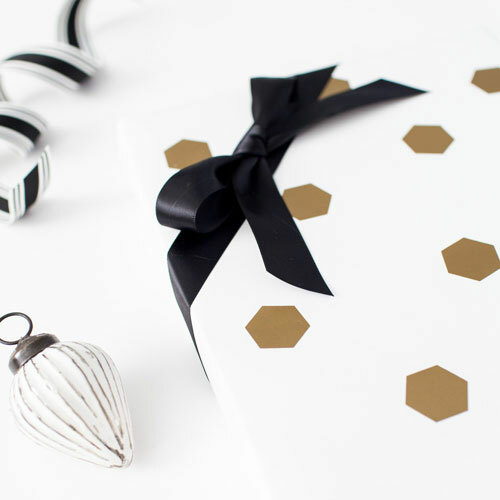 Assemble: Peel vinyl hexagons and stick to gift wrap.